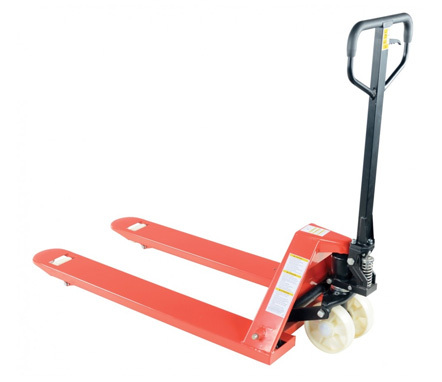 Pallet Trucks Steel An economical way for one person to move heavy pallet loads without the use of a fork truck! Includes two articulating steering wheels and two front load rollers. Ergonomic design requires only 75 pounds of pulling force when fully loaded. Steering wheels include bearing dust covers for added life. 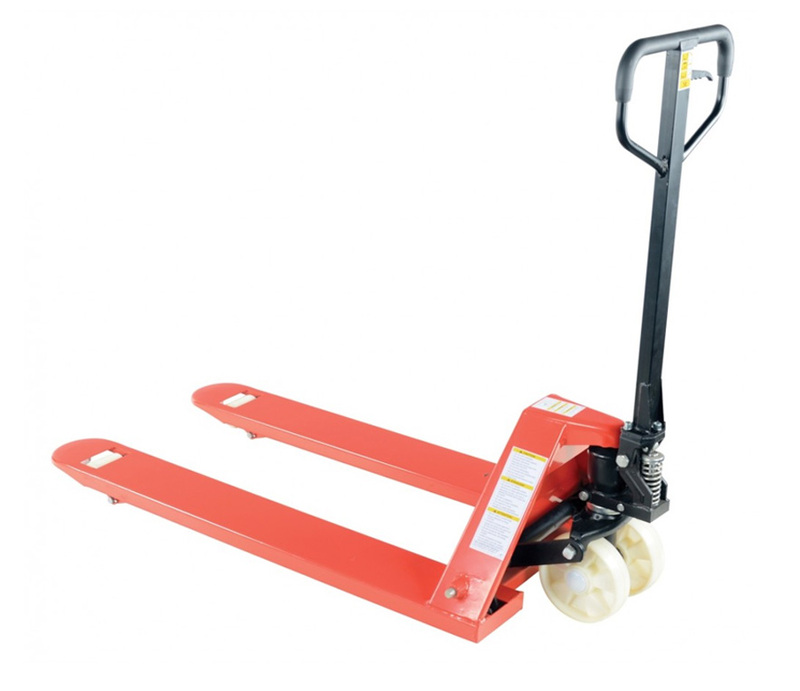 Nose wheels are located on the front edge of each fork to assist in clean pallet entrance and exit. Wheels are constructed of Poly-on-Steel unless otherwise noted. Reinforced triple-formed steel forks provide twice the strength of standard single-formed forks. 7" wide forks are standard, except for model PM10-2245 which includes 8-1/4" wide forks. Equipped with internally mounted solid steel adjustable push rods. Spring loaded handle automatically returns to vertical position when not in use. Hydraulic pump design facilitates easy-access seal replacement. Chrome-plated hydraulic pump piston for long seal life.